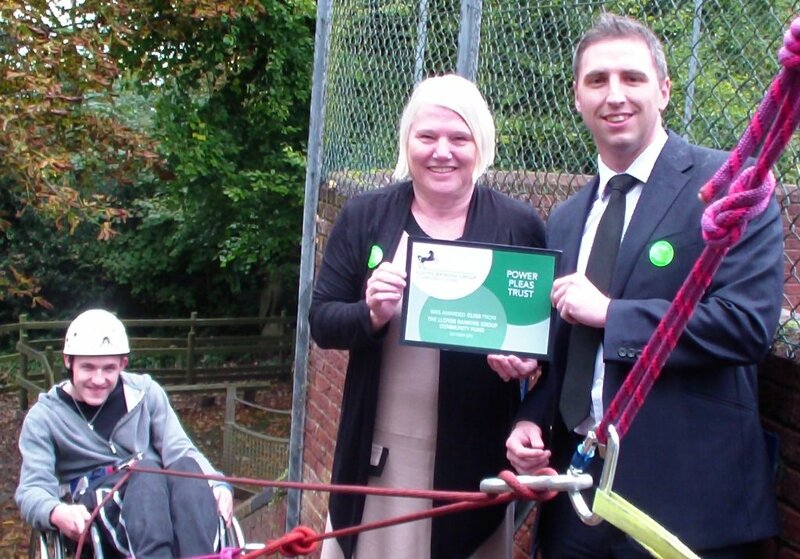 Shaun Kidson, Business Development Manager based at Birmingham, presented the Award to Paula Davies, Treasurer of POWER PLEAS, at Penn Hall School on Monday 15th October 2012. 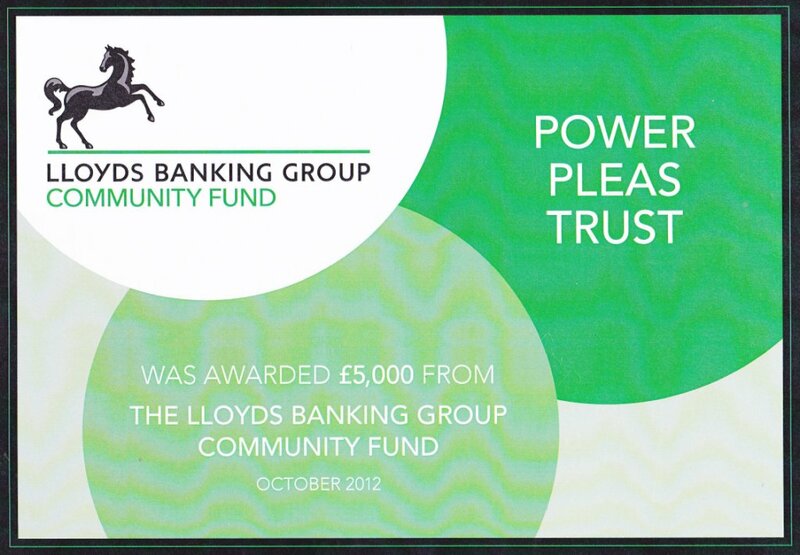 Paula had nominated POWER PLEAS when she was employed at Birmingham Midshires which is a subsidiary of Lloyds Banking Group. As a result of this news and a seperate grant from Children in Need, orders have been placed for two Trikes and one walking frame, and a grant has been given to part fund five Sports Wheelchairs at Penn Hall Outreach Club. Chairman Keith Berry said: "We are just a small voluntary charity. We don't receive any funding to pay for staff so we never thought we would ever win the award. It means so much to us because it shows how much support we have from the public, which is fantastic. 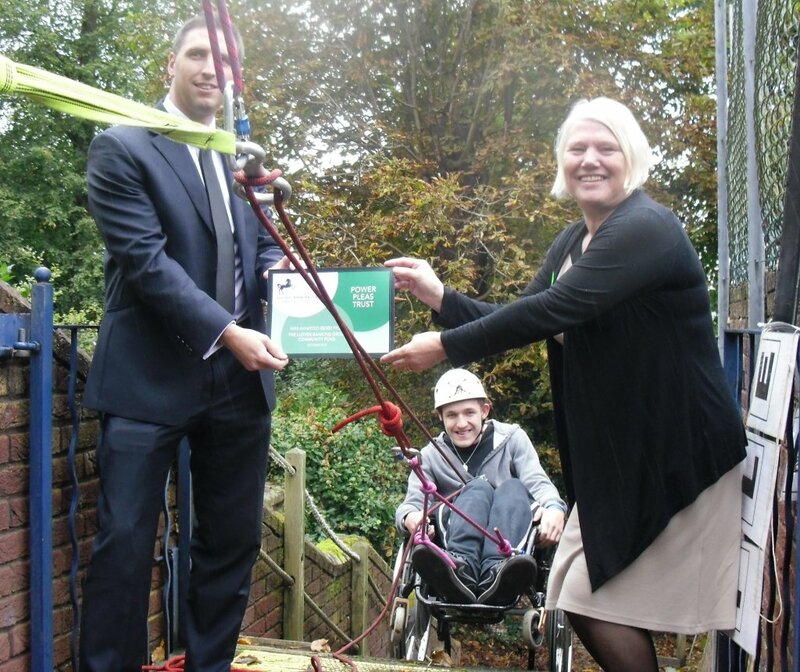 "We will buy specialist trikes for three to six-year-olds with the money and it will also help towards the cost of buying sports wheelchairs." Shaun Kidson (Business Development Officer, Lloyds TSB), Jaymi Portman (17), Paula Davies (Nominator and Treasurer of POWER PLEAS). Pictures taken at Penn Hall School, Wolverhampton. Jaymi Portman, Paula Davies and Shaun Kidson. Jaymi Portman, Lydia Jackson (8), Paula Davies, Shaun Kidson, Harry Bowen (5), Mike Davies (POWER PLEAS member).